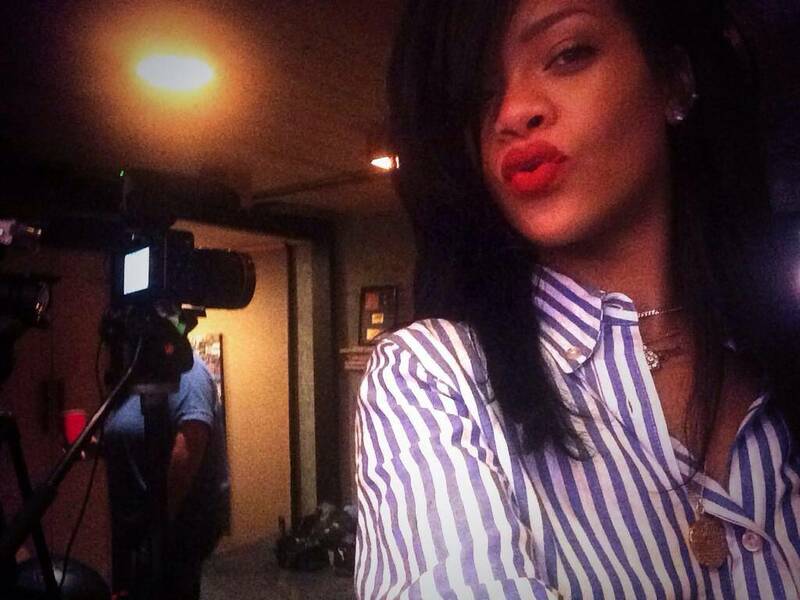 Rihanna seemed to be having a lot of fun in the studio last night. 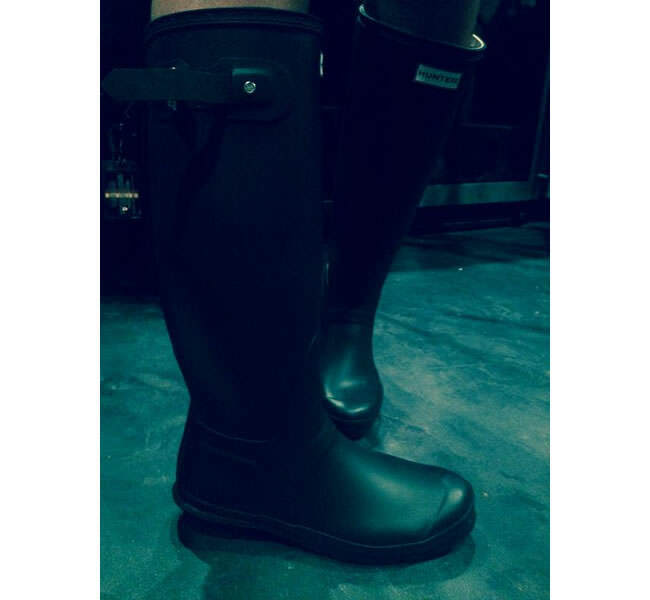 She tweeted a photo of her rocking some Hunter boots with the hashtag "#huntershawty". These are the brand’s original tall boots, which are made of rubber and are designed to withstand the harshest weather conditions. The company has been around for centuries and the classic wellingtons are a staple at music festivals in the United Kingdom. They are beloved by Kate Moss, Kelly Osbourne and Stella McCartney to name a few. She also posted a few selfies poking fun at her assistant Jenn. In those shots she is wearing Isabel Marant‘s Eddie shirt. The blue and white striped shirt has a button down collar, a front button fastening and three-quarter length sleeves. During the summer she was spotted in another striped top from the designer’s Étoile diffusion line.